On this page, you will find the latest news on the IFSCL. For more information, go to the project page! 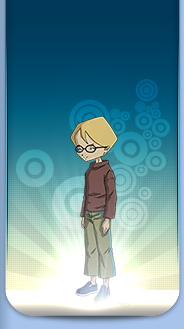 9 years that Code Lyoko's most advanced fangame is in solo development! 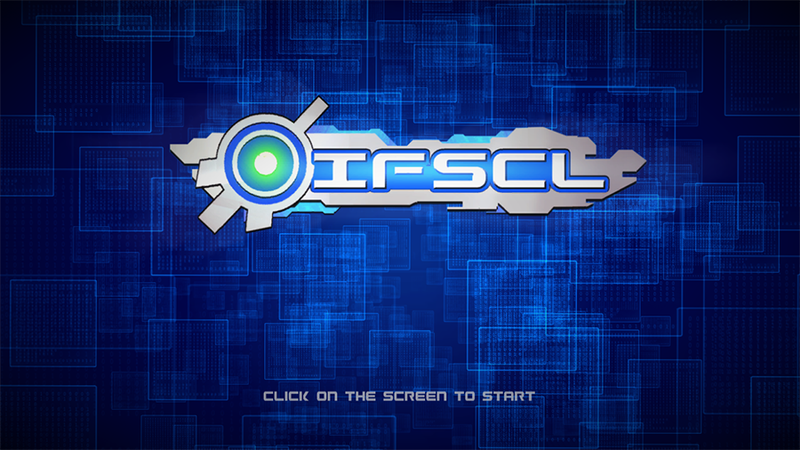 IFSCL is back today to celebrate its anniversary through a trailer, the most ambitious! 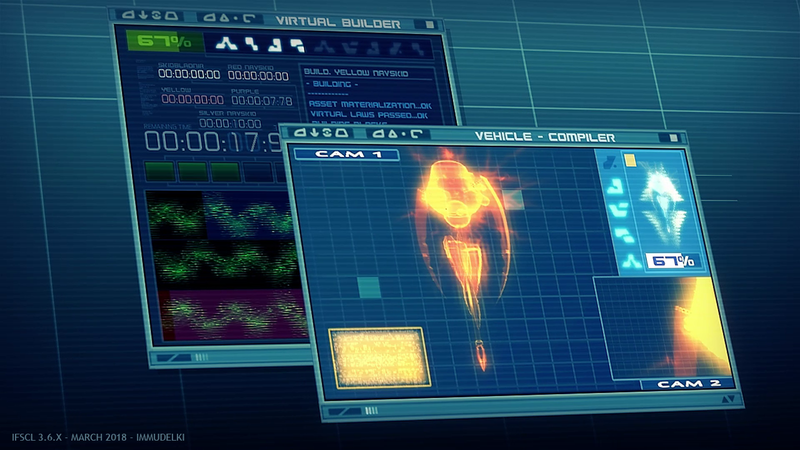 This time not centered on Jeremy's Interface, but more on all the visual part (3D) that will be essential to the story mode. As a reminder, it will be a continuation of the original series, framing in the most canonical way possible to the events of the original series, including exclusive participations of the original actors of the series (French and English), recorded for the occasion. It will also be an opportunity to introduce players in a less brutal way to the very rich mechanics of the game. The IFSCL is back! And this time, it's for the release of the 38X cycle. It was about time to travel in the digital sea with the famous skidbladnir! -specific codes to dock to replikas towers, just like carthage and its famous scipio code, more than ever, you'll feel like Jeremy! -a book of punic wars bigger than ever before! And many other details written inside changelog. Rendez vous on the download page, with a shiny new Kolossus! See you very soon for a year full of IFSCL! It continues right away on the 13th of April for the 9th anniversary of the IFSCL! 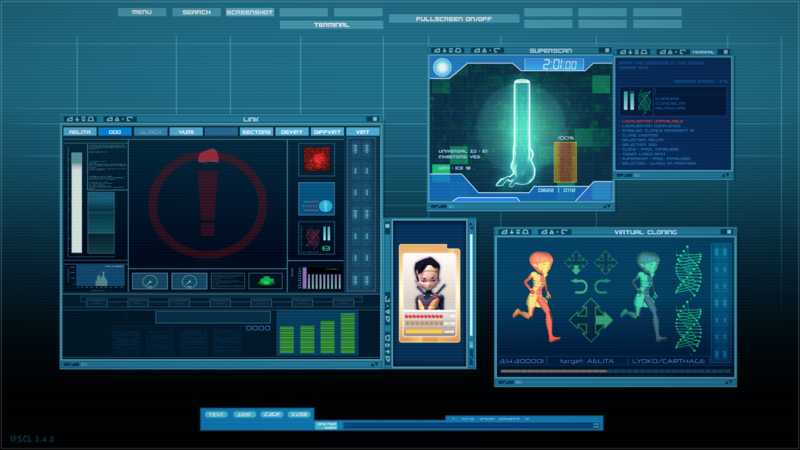 The interface game simulator of Code Lyoko (IFSCL) is back! And this time, to tease upcoming Immu's Room, and the end of 36X Cycle which has been here for a major part of this year. In the background, the changes are gigantic, almost as important as the change of flash engine to Unity (if so, remember the famous '3.0.0' in 2016). IFSCL 3.6.X, 8 years and more! 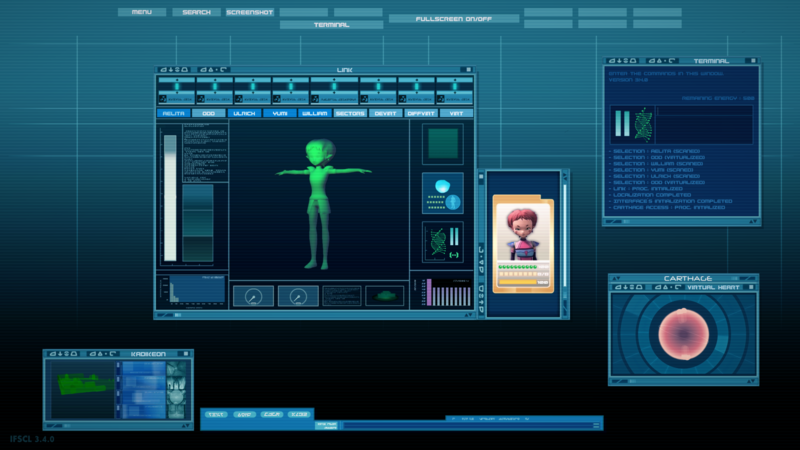 the Code Lyoko Supercomputer Functionnal Interface (IFSCL) is back in version 3.6.X, the beginning of a new cycle that will be updated much more regularly, and for good reason, the IFSCL 3.6.1 arrives this week via the Kolossus Launcher for 64-bit Windows. The Mac and Linux versions will arrive later in the month, while for the support of 32-bit Windows, it is still under study, but it will not be able to remain forever. Many corrections are still planned of course! Add to this the crowdfunding of IFSCL's votes, be careful, there is not a lot of time to participate! The main objectives are achieved, and now, we aim even higher, next step, scenes in the Hermitage !! And to celebrate, the 8th anniversary trailer, stranger than ever! 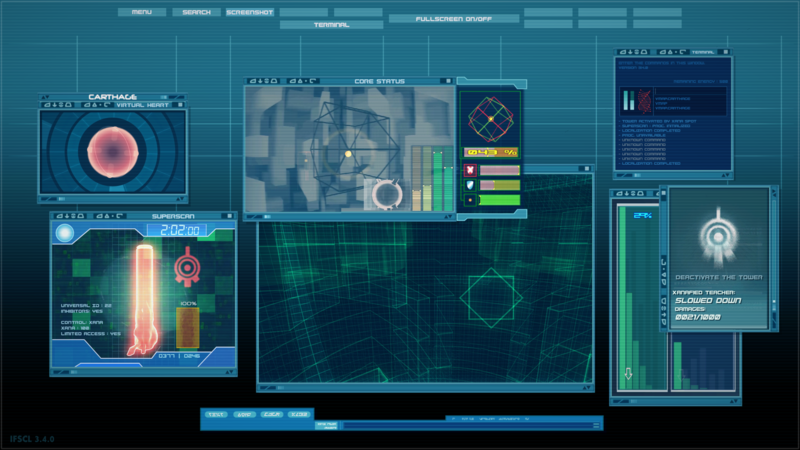 Hello everyone, the Fictional Interface of Code Lyoko's Supercomputer (IFSCL) is back... back again! And this time, for nothing less than creating the skidbladnir! Original IFSCL music courtesy of Roroxana! In fact 3.6.0, but it's in the 3.6.X cycle. New cycles (3.6.X, 4.0.X etc.) are still heavily promoted around annoucement, trailers, new logos, but not versions in between. In the end, their should be as much ‘officialy promoted’ versions as before, but smaller version fixes should come more often in the background. Things like Immu’s Room, which tends to be huge technical improvements but only released later after a release, will no longer slow down the process as they’re going to be added via new version after the release. Kolossus Launcher will be the new standard to download and get updates on latest IFSCL version. This tool will also help me distributing Lyoko Conquerors once its released. The legacy-standalone versions will also continue to be created as soon as a version cycle wraps up, to mark the history of IFSCL. As soon as we get on a new major version (3.7.X for example), the previous major version latest update (3.6.3 for example) is kept and saved on IFSCL download section as 3.6.X (in this case), without launcher and with its original release date, just like any older version. Also, to speed up dev process, 32bits windows is ruled out for now form new builds. Only skidbladnir creation ? When do we get to pilot it ? Be patient! Creating it will already be a challenge, and protect it from destruction too! That's two new types of attacks that are coming in, the draining scyphozoa and creeper/mantas attacks in the garage! The creation of the said garage is also there, of course. In both case, you'll have to read quite a bit! 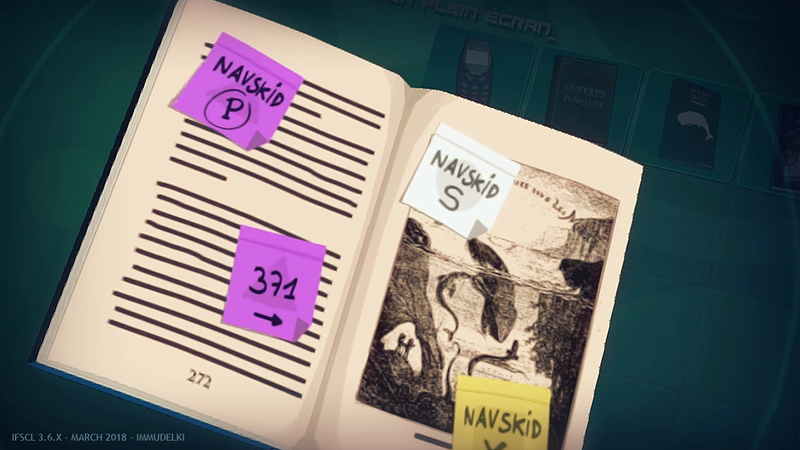 The inventory is filled up with new books containing informations. Fortunately, the game's help is also updated. 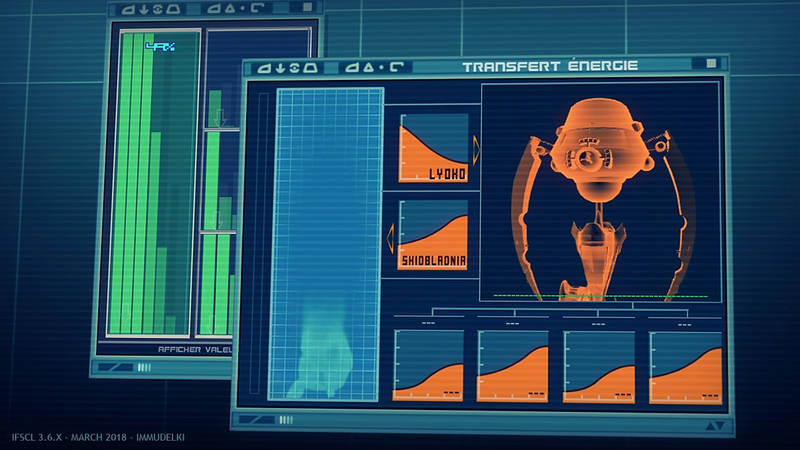 And as usual, a big rationalization of the windows (how are supposed to work the shields, the hull, garage skid docking, energy transfer between shields and such) that appeared in the show without further explanation. 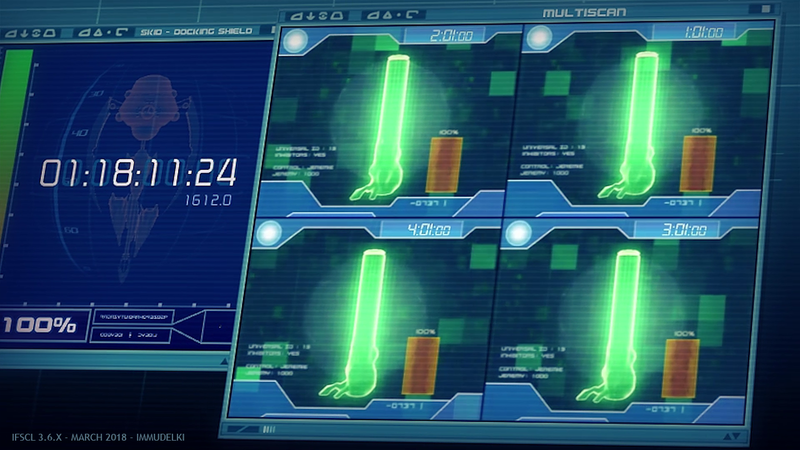 Also, the multiscan/4 towers boost has a new purpose, contrary to the series, it will not only be needed to counter scyphozoa, but also the create the skidbladnir itself. This is a variation around its use in the animated series, to make logical their need to create the skidbladnir 'in two parts', with the same 'timing' challenge they face off. When does it get released? No day on the video date ? That's normal, the release date hasn't been decided yet and is meant to fit my busy schedulde and avoid useless stress. Plenty of livestreams making of! You've got hours of your time to lost with the sound of my voice ? To get to know more about this version's progress and content: changelog! 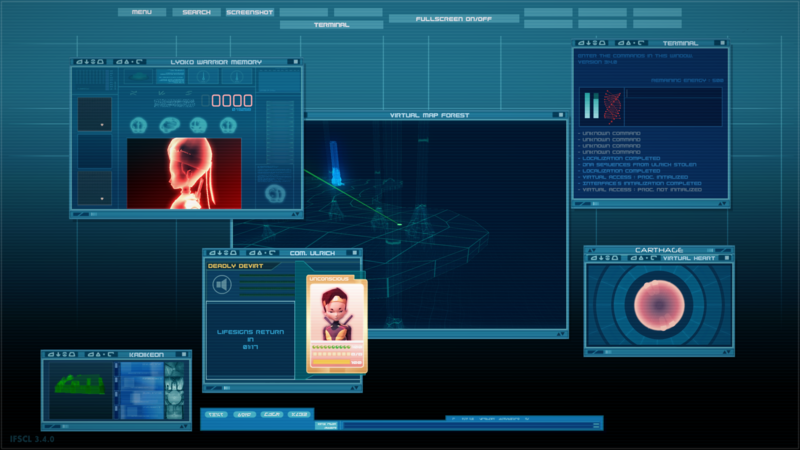 Hello everyone, the Fictional Interface of Code Lyoko's Supercomputer (IFSCL) is back! By the way, about xanafied costume: simply put I consider william 'Xanafied clothes' to be its regular S4 clothes (that he would have had even without xanafication, xana just pushed the upgrade button earlier than jeremy did for his other classmates). So white ones are considered to season 3 clothes. I've just made them early but they won't appear yet. So there’s no original dedicated ‘xanafied costumes design’ for lyoko warriors. Note that a DISCORD channel has been created, to easily talk about the game. 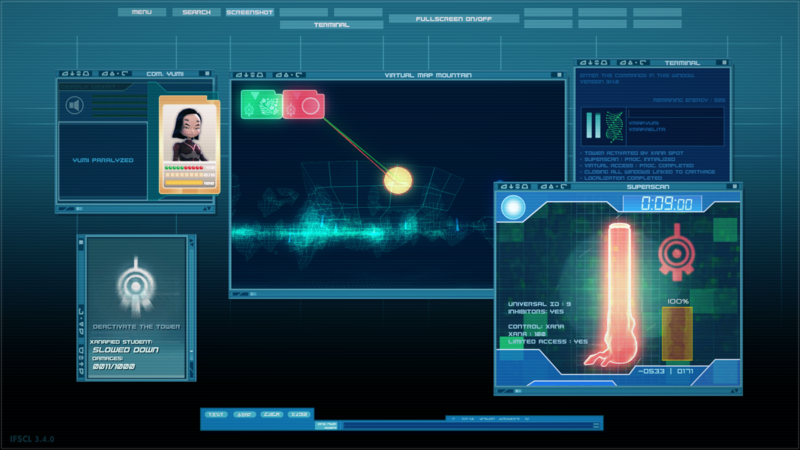 The Fictional Interface of Code Lyoko's Supercomputer is back! After celebrating the 7th anniversary of the game last 13th of april et the reveal of the orange return to the past, it's now time to give news about the 3.4.0 version trought a trailer and exclusive informations! It's the big return of the fifth sector (namely confused as Carthage) lastly seen in IFSCL 2.6.2, but now in 3D! And it's bringing a lot of new windows (heart, core, transporter... ) several being adaptated for more interesting gameplay (sensors etc..). The original movement system for the maze has been added, that can be apparented to some sort of pacam, more logic considering what we saw in the series. It's also the cloning, window that is added, with high 3D, textured and animated model! There's also the elevator window! This time directly linked to its 3D counterpart, you'll be able to hear it working just like in reality! Also keep in mind that scyphozoa is partially finished for this version, as xanafication will come for 3.5.0 with everything it involves! Everything will be revelead in time, the majority being part of the story mode, coming in 2018. By the meantime, make your theories! For the orange return to the past, it won't be available in next version, but don't worry, the Immu's Room will still present you other elements of the future of the IFSCL. Will there be other versions of IFSCL this year? Yes! And pretty quick actually considering how much time is left. We're slowly coming to sector's destruction, William, an update to battle system (action choice directly in the window itself) the Skidbladnir and the Digital Sea! The current objective is about finishing all those groundwork trough 2 versions (3.5.0 and 3.6.0) that would be released in the upcoming months, in order to start 2018 directly on the story mode! Just like last 20th of November at trailer's release, rendez vous in one month for the release of IFSCL 3.4.0! Many other things have been added/fixed, check the progression log for live infos about that. And for those who understand french, you can go in the forum topic too. After more than a year of teasing, the content of IFSCL's return to the past is revelead! Get a short demo of this feature in Immu's Room of IFSCL 3.3.0! Type the command 'fourandahalfbillionyears' in the terminal and solve the riddle! Future version of IFSCL will contain this flashback in a longer version, leading to the whole scene that was in the show. Fully explorable factory is te be expected at the time the first missions of story mode will be released (2018). It will feature more interactions and the support of IA LyokoWarrior moving inside. In the meantime, 3.4.0 version is to be expected around mid-2017, with, as biggest feature, the return of the fifth sector! 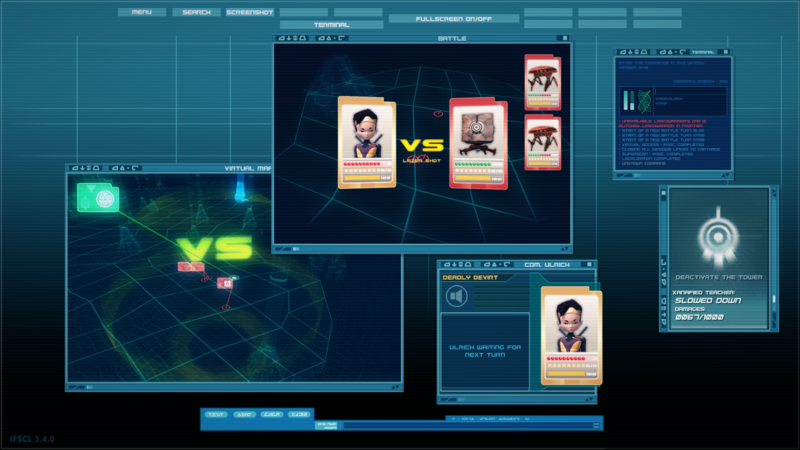 This year should also mark the first public version of Lyoko Conqueror, a Multiplayer Online Real Time Strategy game also made by me (Immu).